Treatment of cancer patients with lipid A analogs is now feasible. This is the culmination of a long story, beginning hundreds of years ago, of progress in different scientific fields bacteriology, chemistry, immunology, genetics, cell biology and experimental medicine. 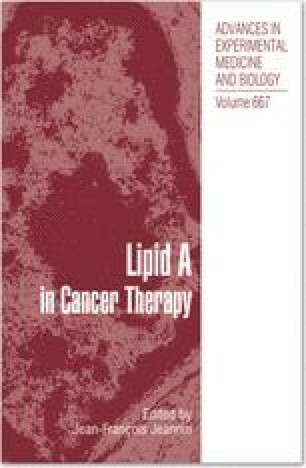 Knowing the history of this domain of research is important in understanding why there is increasing acceptance among the scientific community of attempts to treat cancer with lipid A analogs.